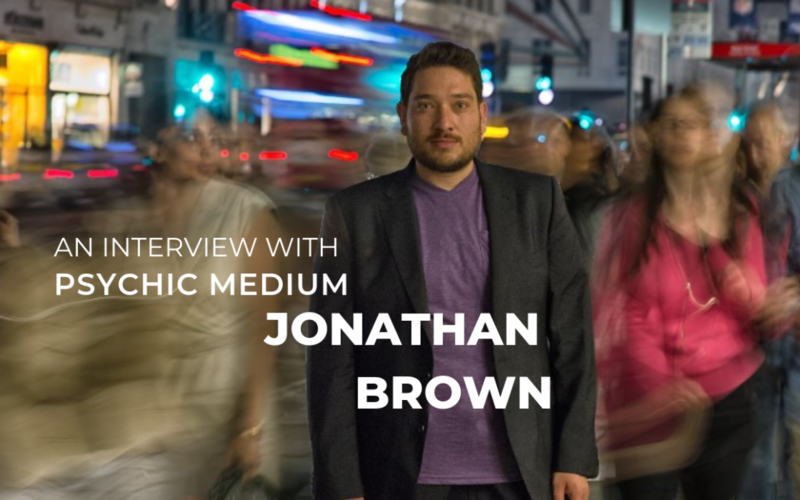 Young yet experienced Medium Jonathan Brown is joining us this year in February to deliver a workshop at the Sir Arthur Conan Doyle Centre exploring mediumistic and spiritual unfoldment. This will be Jonathan’s second year with us where he will provide guidance on improving your mediumship at an intermediate level. All you need is experience in connecting with Spirit and Jonathan will guide you through the rest. As well as his workshop, Jonathan will be at the Centre in Edinburgh for an evening of mediumship offering true connections with Spirit. For now we would like to share with you Jonathan’s story, as well as revealing his own perception of the afterlife. Can you start off by providing us with some background on how you got started in mediumship, and describe the abilities that you have? I was a naturally born medium, however I didn’t understand everything when I was younger. I saw that other people such as my friends didn’t hear voices speaking about how things in life were going to go before they had actually panned out. After waking up to the true reality of the Spirit world in 2007, I have been strongly guided forward by dedicating my life to working with Spirit, learning to truly understand myself, grow and heal which has continued to help me evolve into the man and the medium I am today. In regards to my gifts and medium abilities, I am able to see, hear and sense those in Spirit which enables me to connect and communicate with them, enabling me to deliver their messages when they want to reach out to someone. Over the years as my gifts have evolved my mediumship has also shifted to trance mediumship. This is a slightly deeper state of mediumship where people’s loved ones and sometimes my Spirit Guides come and channel directly through me. How did you learn to develop your abilities and figure out that this was your path? Were you ever scared? Yes, I was scared back in the day before I fully accepted my pathway for I was still struggling with what was real in my world. I used to hear voices telling me I was special which didn’t sit well with me as I always considered myself to be a normal guy. In 2008 whilst already committed to my development after trusting Spirit I was led to move 100 miles up north in England to Wakefield West Yorkshire where Spirit told me I would come across my first Teacher. I knew I had to go to the local Spiritualist Church, to which I went 3 times. The first time it was shut, the second time It was a closed group so I could not attend and on the third time Spirit told me it was the right evening to go. As I pulled up there I walked through the door where there was a lady standing there with her back to me. She happened to be a well-known and respected medium and Teacher in the Yorkshire area and she proceeded to take me under her wing and Teach me solidly for just over two and a half years. I continued to develop through awareness circles, Development circles, learning to sit in the power. I also attended church services and watched other mediums work, and closed circles, starting to do Private Readings and working on the Church Circuits. My further development came through attending training courses which were offered by some of the World’s Best Ambassadors for Spirit such as Gordon Smith, Tony Stockwell, James Van Prague and Eamon Downey. What would be your definition of Spirit? My Definition of Spirit is that Divine Spark that we all are. We are Spirit here within a body whilst we are alive here on earth and we remain Spirit after we pass away from the Physical body and we transcend back to Heaven. Spirit is the nonphysical aspect of our Person which is the seat for all our emotions and experiences, it connects us to God and our Soul. Through this anything is possible, and we are infinite. What’s your opinion on mediumship in society? Do you think it’s becoming an open topic that’s less of a fear for people? Mediumship is ever evolving and as we move into modern times it is more accepted, acknowledged, sought after and experienced more often by people directly. Long gong are the days where people were as scared of the unknown. Mediumship is making a massive difference in society down to the everyday lives of people by giving them the evidence and knowingness that there truly is no such thing as death and that we live on eternally. I agree that Mediumship and proof of Survival, the afterlife, is more of an open topic which is spoken of with less fear. More and more people are sharing their experiences and views when it comes to the Spirit world and this is only a good thing as it is spreading the awareness of the Truth about Spirit. Last week a press article released intriguing footage captured by CCTV of a woman’s dead son in her kitchen. What do you think of this case? We are interested in discovering your point of view as a medium on this potential paranormal situation? This could be a great example of what some consider to be the Unexplainable coming to the forefront in the Media. Spirit are reaching out. We can go back to the Hinesville tapings where it was first recorded that Spirit are a communicative consciousness. Since then more and more proof and evidence has been shown, witnessed and recorded that Spirit are real. There is much in Physical Phenomena these days from Spirit voices recorded, people getting messages on their mobile phones and calls to their landlines from their recently departed loved ones to let them know that they are okay since they have passed. There are genuine recordings of Spirit Physically manifesting be it on photographs or video recordings in the modern day. As Spirit we are energy. This is something which cannot be denied so it is easy for them to vibrationally manipulate sounds, lights and frequencies with their energy. They are no longer dense in energy so they are omnipresent. 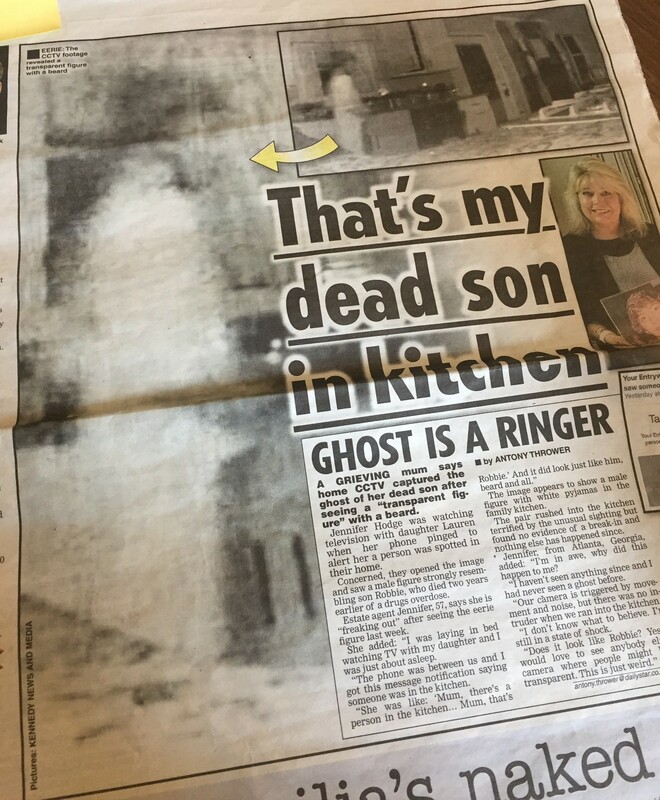 As the mother states there was no explainable evidence of a physically living and breathing person being in her kitchen and her son was passed away to Spirit and from her feelings the likeness was uncanny. Like everything in the world there are those who know, those who believe and those who sit on the fence. What matters for the mother is if she knows for herself that it was her son reaching out to her from the Higher Side of life. Why do you believe is it important for people to believe that there is life after death? It is important for people to believe in the afterlife so firstly they know that they have a purpose in life. Surely if there is no such thing as death then life truly has a purpose this then brings meaning to one’s own existence. This proves to us that God is real and that life is worth living, and that we all have some Spiritual Gifts that we are to discover, to allow to unfold and to use to make a difference through our everyday lives. During a demonstration of mediumship, how do spirits manifest to you? Can you see figures? Do you hear them? During a Demonstration of Mediumship as Spirits connect with me, firstly I sense them coming close, then I blend my energy with theirs allowing their life’s essence to come more alive through my own. It is dependent on the Vibration linking and Love manifested too. If they start to project images of themselves in my mind’s eye or if they start to talk to me in my conscious mind to which I am then able to start communicating with them and connect them with their loved ones who have come in the hope that they may get a message from their loved ones. Can you tell us more about your upcoming workshop? What can students expect from the weekend? The upcoming workshop I am holding involves progressing those who attend further with their own Mediumship and their abilities, but the onus is on them always being their own medium. For them to have a deeper understanding of themselves firstly, to come from their Heart and to build all the love that comes from within them so that they can build and blend this with Spirit. For them to be able to connect richly with their soul and Divinely with their Spirit. Learning how to connect at the highest level that they have within themselves with all of their being. How to quiet the rational mind, how to step aside with the knowingness that Spirit will come and do what they need too. Students will learn how to trust themselves with what they are receiving, how to let go and how to embrace Spirit’s Divinity. Students will cover how to do a Private Reading, how to give Philosophy inspired from their own Spirit, how to work from Platform, how to give deeper evidence and we will explore Trance Mediumship and Deeper States of consciousness as well as sitting in and blending in the power. How is your workshop this year different than the one held last year at the Sir Arthur Conan Doyle Centre? The workshop this year is different from last year’s as it is progressive, taking things a step further than just the basics – which are always Important. It’s about gaining a confidence in self and with Spirit now, being capable to connect and work without any doubts or fears about getting things wrong. Relaxing and enjoying your Spiritual work and knowing it makes a difference by touching people’s life in a truly divine way will help to advance all those who are working with Spirit be it personally or for the general public, or those already working professionally. As a Teacher I come from my heart giving my all to enable students to grow and bloom to their fullest potential, instilling more confidence within themselves and encouraging them to be their own medium by offering them all the knowledge, skill and experience that I have. And finally, do you have a parting message for our readers? A personal message from myself to the readers: Spirit is real and you are Spirit intimate and eternal. Believe, receive and achieve with Spirit and in life, if you have been drawn to Spirit in your life, whether just awakening or a solid knower about the fact that life is eternal you will undoubtably journey the right way in life. Love it and embrace it, always do right by the Light and Leave Love with everything that you do. 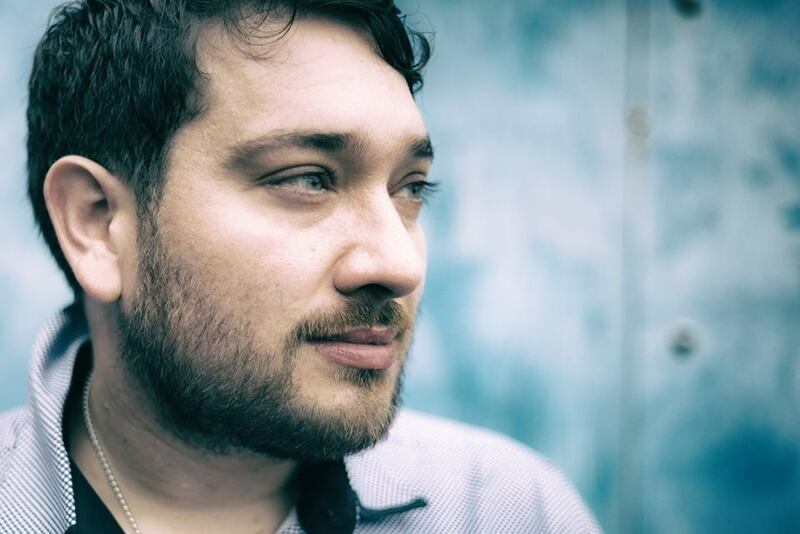 You can find more details and book a space for Jonathan’s spiritual unfoldment workshop by clicking here or book to join him on his evening of mediumship here. We would also love to hear your thoughts on the interview in the comments below!